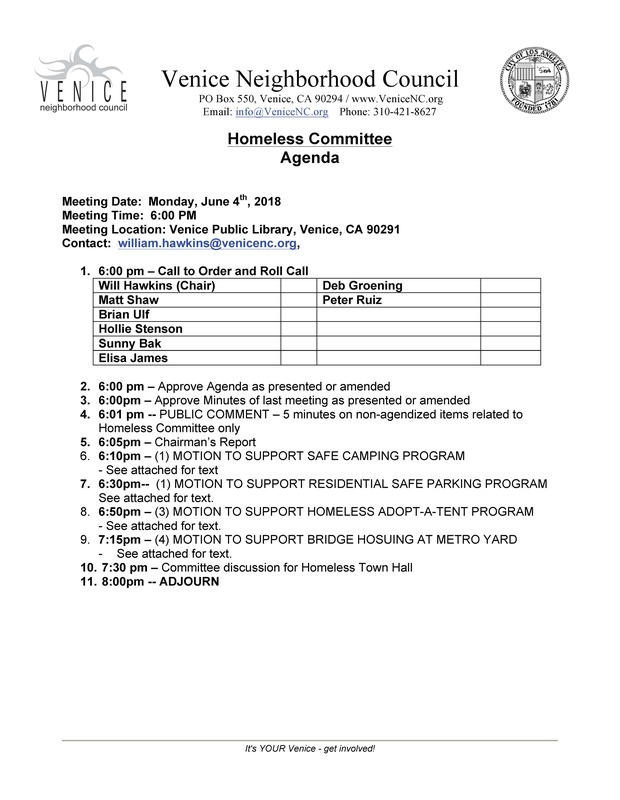 The Venice Neighborhood Council Homeless Committee meeting was held on June 4, 2018 from 6 to 8 pm at the Venice Abbot Kinney Memorial Public Library. 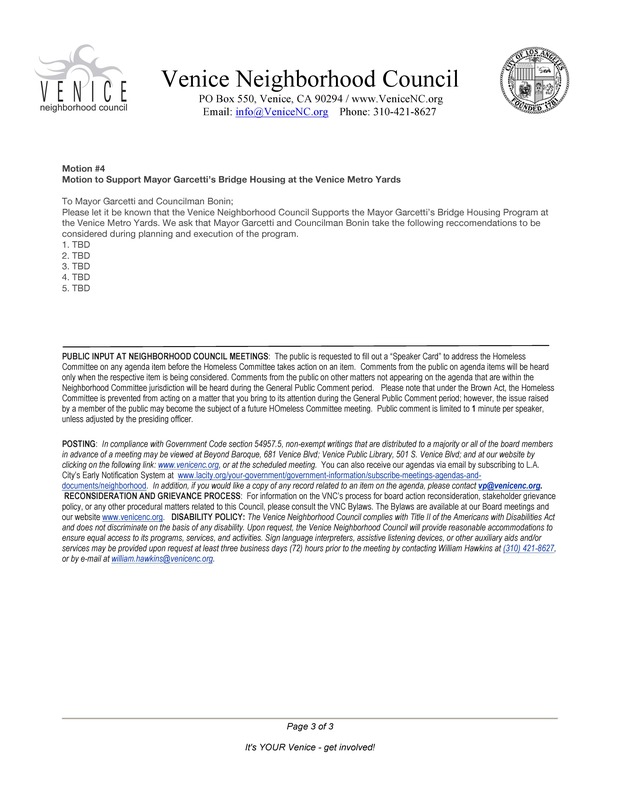 Motions discussed and considered included motions to Support Safe Camping Program and to support bridge housing at the Metro Yard facility in Venice, CA. Much of the meeting consisted of passionate and well articulated public comments from Venice residents and stakeholders in the community. The heartfelt comments reflect the wide range of legitimate concerns and worries from Venice residents and stakeholders (the meeting was attended by over sixty venice residents & stakeholders) regarding the specifics of Mayor Garcetti's proposed "Bridge Housing" strategies & related efforts to address the homeless crisis in the greater Los Angeles area. NOTE: I have lived in Venice since 2004. 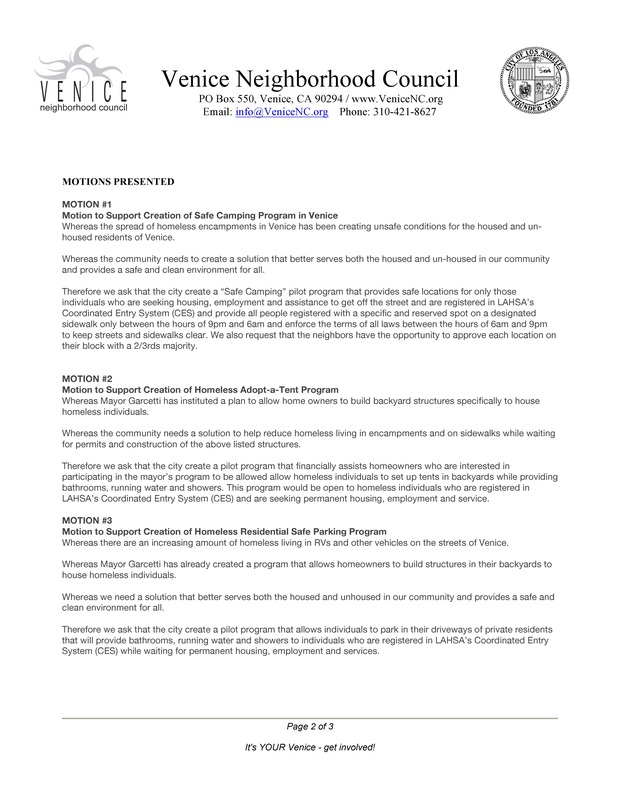 I taped this meeting for several neighbors and friends that were unable to attend last night. 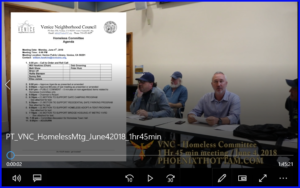 After the meeting, five people came up to me at the meeting's conclusion and politely asked if I share the public record / video content on NextDoor via YouTube. 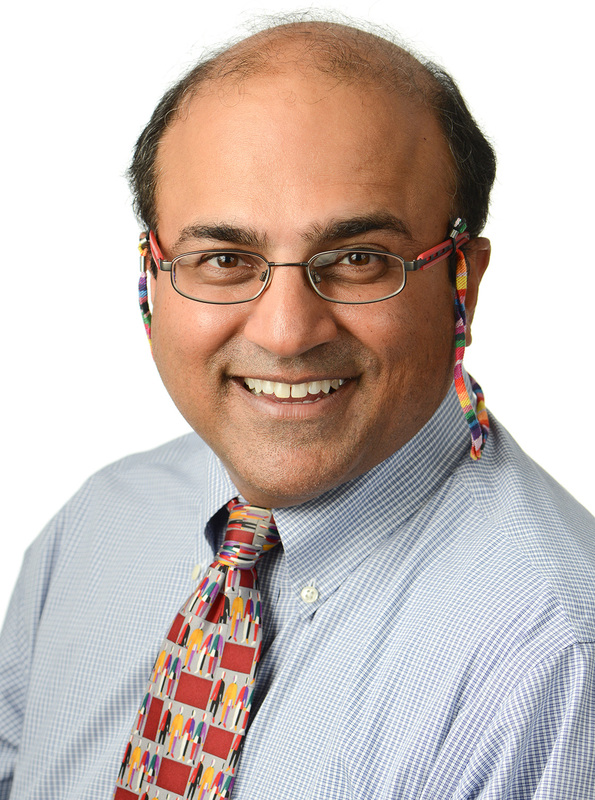 I said I would because I think the Board's comments and many of the diverse range of public comments were quite instructive and insightful.